It is a scenario we all hope never to find ourselves in: a loved one dies in hospital and we do not understand why. We have questions for the medical professionals and we desperately want answers. 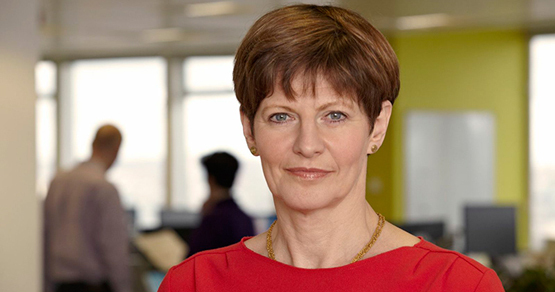 However, according to Dame Julie Mellor (pictured), families in this situation are not given the feedback, time and answers they need but instead are met with a “wall of silence”. These were powerful words for the health service ombudsman to use as she published a report last week– and it is not the first time she has criticised the NHS for the way it deals with concerns and complaints about patient care. It is a sad situation when families are so desperate for answers about the care of loved ones that they are being forced to complain to the ombudsman before they can get a response. Fear of being sued may in part explain the retreat. Just as likely is the difficulty in pulling together all the case facts when current issues are by then demanding time and attention. At Computer Application Services we are experienced in helping organisations deal with complaints. We have learned that dealing well with a complaint can improve a relationship and gain trust and respect, whereas dealing with it badly just results in anger and frustration. As Julie Mellor points out, complaints also offer an opportunity to learn and improve as an organisation. So it is crucial for the NHS to take the time and put in the effort to analyse why mistakes happened and figure out how to stop the same thing happening again. The NHS is a huge organisation and change is not easy. But many individuals working there want to be transparent, they want to be able to learn from problems. A system that enables complaints to be progressed and well managed is a system that supports treating complainants, and complaints, with respect. Our software, Workpro, is a specialised case management system used by organisations dealing with large numbers of complaints. Expertly designed processes and standardised features guide complaint handlers through a best practice customer complaints procedure.